As parents, it seems as though we’re always striving to limit the time that our kids are using technology. We’re forever encouraging them to turn off the television and put away the video games, cell phones and tablets. What if we have it all wrong and we should actually encourage more tech time? 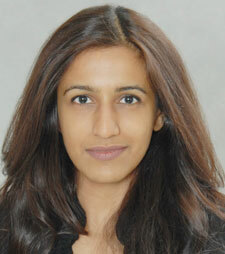 In her new book (co-authored with her husband Parag Khanna), Hybrid Reality: Thriving in the Emerging Human-Technology Civilization, Ayesha Khanna suggests that we are moving from a point of co-existence with technology to co-evolution with it. An accomplished intellectual, writer and mother of two young children, Khanna refers to today’s children as “Generation Z” — today’s toddlers and tomorrow’s future leaders. As a mom who tries to limit screen time, which for our family includes iPads and computers as well as television, I’m always looking for ways to decrease, not increase their tech time. What she’s advocating is a very hands-on experience with parent participation rather than handing our kids technology and leaving them on their own, which I can’t help but think puts us on the right path. 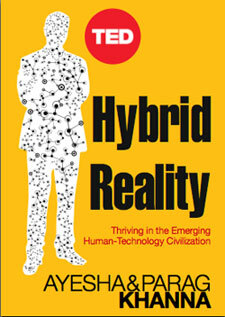 To read more about Khanna’s insights into the Hybrid Age, a time when technology is ubiquitous, intelligent and social, pick up a copy of Hybrid Reality: Thriving in the Emerging Human-Technology Civilization. Tablets for tots: Lazy parenting?